to highlight specific interventions useful for advancing progress. Competitively selected case studies from the Latin America region and elsewhere, expert plenary discussion and multi-stakeholder roundtable discussions were analyzed. It is clear that mobilizing “all of society” for effective cancer control requires a clear vision and the creation of a political conscience whereby health is perceived as a basic human right and the general public involved as socially aware and active citizens. Structures for the active involvement and engagement of “all of society” are required as is the need for advocacy and engagement to be based on robust evidence. Effective integration of the different sectors is crucial as well as integration and communication across regions and constituencies. Coalitions and networks are effective working models used among various stakeholder groups. Social media use and the harnessing of new technologies are enhancing networking and enabling work across regions allowing for increased mobilization of stakeholders and the general public at a low cost and at a magnitude not observed before. With increased political conscience and active engagement of NGOs, advocacy is seen as an essential part of effective cancer control, with social audit providing a means of measuring performance of population-based cancer control interventions. Cancer currently kills over 8.2 million people a year with 64.9% of these deaths occurring in the less developed regions of the world (1). The disease is placing a strain on fragile and weak health systems and new cases cost the global economy over US$ 286 billion a year (2). Cancer impacts each individual patient, their families, communities and society overall. It is impossible to account for the human pain and suffering caused by this disease. Effective cancer control is a moral imperative in a society equipped with the knowledge on how to prevent a third of cancers, how to treat and cure a further third of cases and how to palliate the remaining third. The UN Political Declaration on the Prevention and Control of Non-communicable Diseases (NCDs) (3), created in September 2011, is a powerful tool for international cooperation and action and has afforded unprecedented global political momentum for effective cancer control. We are currently witnessing a paradigm shift where cancer is no longer perceived as a disease exclusive to rich and developed regions but is seen as a development issue, impacting the sustainable growth of nations. 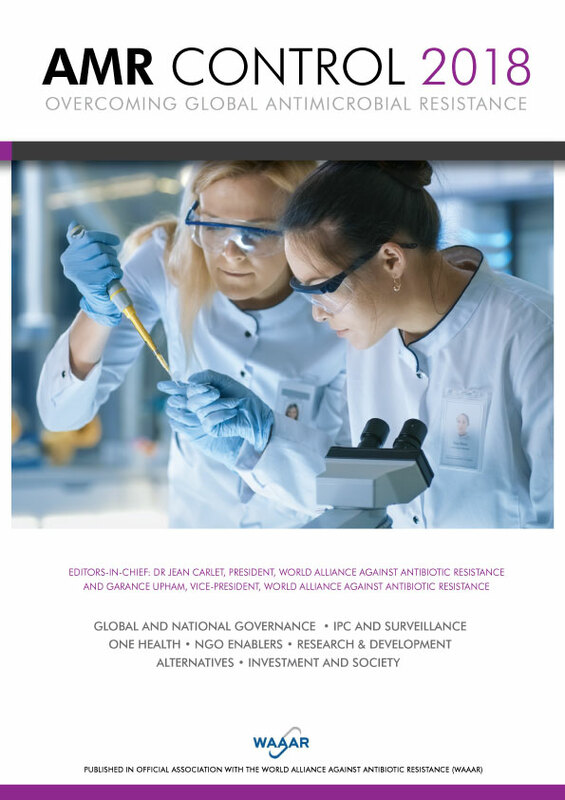 The UN Political Declaration has led to the creation of the WHO Global Monitoring Framework (GMF) on NCDs (4) with its comprehensive set of voluntary global targets and indicators including the historic target to reduce overall premature deaths from NCDs by 25% by 2025. This represents the first set of global targets on the four main NCDs (cancer, diabetes, cardiovascular disease and chronic respiratory disease) for which all governments are accountable and must report progress. The mortality reduction target poses a unique opportunity as well as a global challenge to the cancer community and broader society. Meeting it will require an unmatched and concerted “all of society” approach. PAHO leadership and member states have stipulated NCDs are a priority issue for the region with a focus on multisectoral policies and partnerships. The existence of platforms for South–South political cooperation, such as UNASUR (Union of South American Nations) and its South American Health Council. The recognized need for resource sharing and regional cooperation in cancer control – as evidenced by the regional network of National Cancer Institutes (RINC). Civil society’s increased regional presence through numerous regional networks and coalitions. The existence of long-established North–South collaborations, such as those involving the CDC, US NCI and the American Cancer Society. ICCC–5 Session 2 “Mobilizing ‘all of society’ for effective cancer control” comprised a panel discussion of recognized experts in cancer control followed by a question and answer session to provide an overview of the subject matter as a means of preparing Congress participants for participating in four, small group, interactive workshops on relevant topics to be addressed in greater depth. Selected abstracts providing particular insights into the topic area were presented orally by the authors in each of the workshops. Workshop leaders were encouraged to conclude their workshops with a brief set of prioritized recommendations to identify the key directions for further development of interventional activities beyond this Congress. strengthening organizational capacity and networking. Plenary speakers for this session included Andre Medici, World Bank; Dr Andreas Ullrich, World Health Organization (WHO); Dr Felicia M Knaul, Harvard University; Dr Eduardo Payet, University “Cayetano Heredia” of Peru; Professor Jose Gomes Temporao, Instituto Sul-Americano de Governo em Saúde (ISAGS-UNASUR) and ex-Minister of Health of Brazil; and Dr Maira Caleffi, Brazilian breast cancer oncologist and patient advocate. Dr Eva Maria Ruiz de Castilla, Esperantra Peru, and Dr Cristina Parsons Perez, Catalyst Consulting Group International, served as co-chairs for the session, which was moderated by eminent oncologist and radio personality Dr Elmer Huerta. Effective cancer control requires a common understanding of ways to mobilize an effective “all of society” response to the growing challenges of cancer/NCDs. The expert panel discussion shared wisdom of the “how to”, “when to”, “which way”, and ”what” of mobilizing media and the public opinion, attracting the interest of legislators, motivating policy-makers and holding decision-makers accountable, and boosting and legitimizing the role of civil society in advocacy and the realization of cancer outcomes. Mr Andre Medici shared views on the socioeconomic dimensions of cancer with a focus on equity. It was noted that in Latin America out-of-pocket cancer costs are a major source of poverty and that the region’s public spending on cancer is mostly “curative” with an urgent need for increased investment in health promotion, prevention and early detection. Health systems in the region need to be organized around strong primary health care. Civil society holds an important role in signalling and vocalizing where public spending is needed while also maintaining shared service responsibility. Dr Eduardo Payet noted the importance of data and emphasized academia as a key social partner in the “all of society” approach to cancer control. Dr Andreas Ullrich noted WHO is increasingly addressing cancer control from a horizontal and cross-cutting approach instead of the more traditional vertical (disease-specific) approach. This is particularly true for women’s cancers, with WHO groups working across technical areas to ensure issue integration and multiplication of expertise. This is the result of WHO visionary leadership and is a reflection of current trends in direction from member states. This trend may be reflected across the Latin America region with governments encouraged to increase health system efficiency while delivering improved health outcomes. Dr Felicia M Knaul expanded on the importance of access to population-based cancer control programmes and the integrated development and strengthening of health systems. Central to the concept of health system strengthening is the “diagonal” approach to health care whereby disease-specific interventions and plans are integrated across horizontal platforms of care delivery with an important focus on primary care. Such diagonal activities were used with HIV/AIDS, with 10 to 15 years required to rearrange health systems to integrate HIV diagnosis, treatment and palliation into platforms such as poverty and sexual and reproductive health programmes. A similar approach must be used in cancer control with cancer plans fully integrated into the health system. Strong legislated cancer plans with targets are needed as well as the accompanying regulation and local implementation. Monitoring and measurement of success over time is crucial and cancer control outcomes should be measured in line with global NCD targets such as the 25% reduction in NCD premature mortality by the year 2025 (4). Civil society has a crucial role to play in the public oversight of this success and in holding governments accountable for results. The human rights movement has been successful in establishing observatories to ensure that progress is monitored and violations or failures publicly reported, and this could be a model for cancer by civil society. A strong civil society protects against policy shifts with changes of government and can also help in building public support for necessary public investments towards meeting goals. Advocacy should be data-driven and research should be a target for advocacy efforts: “evidence-based advocacy and evidence based on advocacy”. When analysing the requisites for mobilizing “all of society” in cancer control, Professor Temporao underlined the importance of understanding the process of building political conscience and framed health as a basic human right. He expressed the need for a collective movement to generate the notion of health as a right and that this must be underpinned by societal access to information and education. UNASUR views health as a key priority area, an essential social issue and a basic element of its formation. He cited RINC, the network of National Cancer Institutes, as an innovative example of international cooperation to address cancer control (5). A crucial element of the “all of society” approach to cancer control is a strong and vibrant civil society with the patient voice at its core. Dr Maira Caleffi supported the notion that civil society in Latin America plays a key role as a watchdog of government’s actions and policies in cancer control and cancer outcomes. Increasing advocacy capacity in the region is resulting in patient groups increasingly working with the media to run campaigns mobilizing public opinion and demanding change. One example is the campaign “O tempo corre atras – time is running”, run by Brazilian breast cancer coalition FEMAMA, with a view to ensuring the implementation of a national law aiming for a maximum 60 days wait between cancer diagnosis and beginning of treatment (6). The expert panel discussion agreed that civil society can and should be mobilized for cancer control purposes with a clear vision and mission. Patient organizations and cancer survivors benefit, improve and enrich the process of health policy-making and deserve a “seat at the decision-making table”. Civil society must play the important role of “watchdog” of the political and health care system. Political conscience needs to be created and promoted in society. The resulting rewards are empowered citizens and empowered patients – pools of active grassroots advocates capable of mobilizing public opinion, influencing public policy and creating public demand for improved services and rights. Partnerships: Cancer control requires integration of work between all actors, including: governments, multilateral organizations, the private sector, academia, patient organizations, community-based organizations, professional societies, the media, and others. Cancer control needs to be cross-cutting across the different societal sectors as well as across the different government ministries. International spaces for cancer control convening and coordinating such as NCI, PAHO/WHO, UICC, UNASUR and RINC can be used to leverage increased cross-sectoral collaborations. Health system strengthening: Health systems are increasingly burdened by NCDs and there are opportunities for integration of health promotion and care into existing primary health care services. Patient engagement and advocacy: Governments need to ensure “all of society” engagement in cancer control. Brazil’s “Health Councils” are examples of health system monitoring structures and legal, institutional and social control. It is crucial that civil society be professionalized to take advantage of legal structures for social control. Patient advocacy is a key driver of policy change towards improvements in patient treatment, supportive care and overall cancer control. For cancer control, civil society often initiates advocacy efforts by empowering patients, providing information, raising awareness and addressing individual, community and structural barriers to care (7). Empowered patients who can publicly share their experience contribute to breaking down the stigma of cancer and inspire others to seek early detection, treatment second opinions, or demand access to services. Civil society in Latin America benefits from having social networks that can be leveraged for advocacy purposes, with both strong networks of committed volunteers as well as significant survivor communities. Breast cancer organizations have traditionally been the first cancer patient organizations leveraging such communities to politicize the individual disease experience with the aim of influencing public policy and driving systemic change. Adding advocacy to an NGO mission is a crucial step where change is sought for the majority as opposed to only a few. It is perhaps the most critical way of multiplying a patient organization’s impact although it requires resources, technical expertise, systems insight, a robust reputation and significant risk management skills. To effectively mobilize “all of society” in cancer control , civil society must be actively engaged in advocacy and to do so it is important to define the common elements observed in the development and maturation of advocacy efforts, some best practices currently being observed and what has worked to build grassroots movements capable of driving policy change. Bertha Aguilar and Begona Zabalza, Fundación Cimab, México DF The Cimab Foundation is an NGO with 11 years of experience fighting against breast cancer. An important example of the Foundation’s involvement in shaping public health policy took place in 2009, when the official Mexican standard regulating the prevention, monitoring and treatment of breast cancer in Mexico (NOM 041) was subjected to revision. In this revision process, however, health authorities decided to move the age of routine breast screening from 40 to 50 years of age. This measure worried NGOs committed to the fight against breast cancer, which is why we organized a joint effort against this policy change. The first step was to launch an aggressive campaign directed at the Ministry of Health through Twitter. This strategy moved the officer in charge of revising the NOM to call a meeting with some NGO representatives to discuss the issue. The second step was to create a coalition formed by 18 NGOs, known as COMESAMA. This coalition successfully lobbied to maintain the age of preventive breast screening at 40 years, as well as to include 14 other recommendations. Two years after the publication of the NOM 041, the Cimab Foundation proposed the creation of a Citizen Observatory to evaluate the degree of implementation of this new official standard. The Citizen Observatory will consist of surveys conducted among breast cancer patients in public hospitals and medical personnel (physicians, nurses, radiologists and directors of medical units). The collected information will be used to issue policy recommendations for improvement. 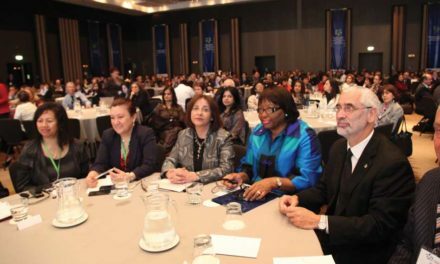 The Cimab Foundation also belongs to a coalition of NGOs called Latin American Union Against Women’s Cancers (ULACCAM), which is represented in seven countries in Latin America. This year, ULACCAM launched the “Declaration of the Rights of Latin American Women on Cancer” simultaneously in these seven Latin American countries, and we intend to obtain 10,000 signatures to position this initiative as a regional “Call to Action”. It can be found at www.ulaccam.org/declaratoria. Because of the inefficiencies of the public health system and the delayed delivery of drugs (a situation that happens once or twice a year in Argentina), as a patient organization we focus on access. For years, we felt that our efforts were not strong enough and we needed to try something different, to put this problem on the public agenda. We decided to change our strategy, and finally chose the one that captured the most public attention. We have a cause and we needed to engage broadly to raise awareness. We needed high-impact actions to put pressure on public decisions, so we decided to develop and communicate using a Facebook site: “I am not receiving my treatment” (8). We started with our public and other patient associations, then continued with patients and relatives, and finally accessed the media. ‰ Stronger identity as a patient association with a focus on access. 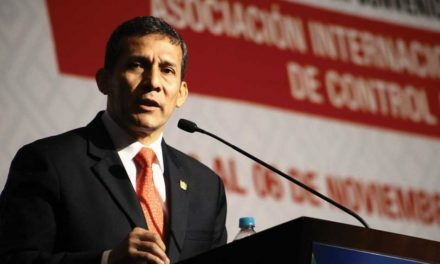 ‰ ACIAPO as a reference in terms of access in the whole country. ‰ The success of this experience stimulated us to work on other issues, such as proposed law, the Biosimilar LA Patient Association and others. The Healthy Caribbean Coalition (HCC) is using the e-health platform to build public awareness and create social movements which drive improved cervical cancer policies and programmes. Caribbean Cancer NGOs launched the first ever Caribbean Cervical Cancer Electronic Petition (CCCEP) aimed at heads of government to increase Caribbean women’s access to affordable cervical cancer screening. The Caribbean has the highest burden of HPV in the Americas. Cervical cancer is the second leading cause of cancer-related death in the region. The CCCEP builds on the successful 2011 “Get the Message” m-health campaign in which 700,000 people texted support for the UNHLM (United Nations High Level Meeting) on NCDs (3). Twenty cancer NGOs representing 16 Caribbean countries developed the CCCEP. Objectives of the CCCEP were driven by the NGOs and based on regional priority needs around cervical cancer policy/programming. The e-petition is hosted on Facebook and collects: full name, email address, gender, age range, country of origin and mobile number. The signature target is 500,000. The petition is being promoted through social media, traditional media and mobile platforms. The final results of the petition will be presented to heads of government. The HCC is currently exploring regional mechanisms for the acknowledgment of e-advocacy. The CCCEP was officially launched on 11 June 2013. Ten days post-implementation, with minimal promotion, we have 995 signatories of which 85% are female. The age range of signatories is as follows: 33.2% are 18–30 years; 28.2% are 31–40 years; 19.4% are 41–50 years; 11.2% are 51–60 years; and 7.5% are 60 plus years. In the coming weeks and months HCC will continue to leverage resources and create opportunities to build awareness. The CCCEP is an important step in deepening the Caribbean democratic progress in which for the first time the people of CARICOM are seeking to directly influence cancer policy based on their own determination of priorities. The growing global cancer/NCD burden heightens the challenging need for greater and more rapid country and region preparedness in cancer control and public policy. Mobilizing global “all of society” responses offers a compelling and logical response to meet this fast moving challenge and need. Successful mobilization relies greatly on effectively informing and engaging people across regions and sectors. However, very little data, information and guidance exists, whether evidence-based or anecdotal, on the “ins and outs” of exchanging ideas, knowledge and best practices locally, regionally or globally. Shared responsibility exists to promote and assist integrating and sharing methods across regions and sectors to sustain progress and educate and empower less advanced countries and organizations. Productive sharing and integration depends on many variables including relevance to the region, resources and sociocultural and political contexts. There is no such thing as an ideal model or textbook approach, as one size does not fit all. Albert Einstein said it best with “information is not knowledge.” We must and can create better sharing and integration processes because even in this era of information and technology, they alone do not drive change or solve problems. Experience learned becomes information shared or vice versa. Examples shared becomes knowledge gained and that powers movement and change. Every successful societal movement or programme was at one time just an idea, experience, vision or dream realized and led by the will of very strong people. History shows that an organized societal movement powered by passionate leaders equipped with shared information and experience is one of the most effective and powerful catalysts at prompting government action and changing attitudes. Very little, if any, meaningful progress will occur unless and until governments understand, legislate and fully support organized cancer/NCD control with appropriate and sufficient collaboration, leadership, financial and human resource support. Alianza GIST (AG) formed in 2009 with the goal of improving the survival of people living with a rare cancer called GIST (Gastrointestinal Stromal Tumour) in Latin America (LA), through scientific research, information, education and advocacy. The group is comprised of patient advocates from 14 countries aiming to close the gap between scientific knowledge and the clinical treatment of GIST, identify and educate more patients and key medical professionals, empower patients to take charge of their own care and improve access to safe and effective treatments. AG works in collaboration with The Life Raft Group (LRG), an international GIST advocacy organization, in which the LRG helps to provide the scientific knowledge, technology and other resources to help AG accomplish their goals in the region. For example, the LRG runs a patient registry, from which data collected generates critical information about the GIST patient population and tracks important trends among this rare disease community. The registry was recently introduced in LA and serves as a tool to collect statistics of how many GIST cases are prevalent in LA countries as this information is not readily available through LA national cancer institutes. The LRG also hosts a tissue bank that allows AG to collect tissue and do free molecular testing otherwise unobtainable in the LA region. In the past year, 20% of evaluated tissues were misdiagnosed as GIST in LA. The tools that the LRG has provided AG have strengthened their capacity to help patients survive. The information has helped the AG strengthen their educational and advocacy efforts among the patient and physician community. For example, a physician education CME course was implemented in collaboration with Monterrey TEC (Monterrey Institute of Technology), as well as a Tumor Board convened at ASCO. The goal was to help physicians across LA improve their knowledge of treating and managing GIST. The goal of the project was to raise awareness among policy-makers, the public, health care providers and media about the challenges facing cancer patients in Japan. This would be achieved by strengthening patient advocacy through building the capacity of cancer NGOs to launch a grassroots campaign, empower patients to become engaged advocates and sustain a national call to action on cancer. LIVESTRONG Foundation and the American Cancer Society designed the Patient Empowerment Project to support a comprehensive, patient-informed national call to action on cancer through planning/implementing a cancer patient forum. In 2009–2011, the programme was piloted successfully in South Africa and Mexico. In 2012, we launched the programme in Japan. We selected the Health and Global Policy Institute as the local partner and collaboratively designed a strategy to build a network of key NGOs, recruit and engage patients, implement a national patient forum and grassroots campaign and launch/sustain a call to action. Technical assistance was provided on campaign development, implementation, monitoring and evaluation. We conducted three instructor-led trainings over 13 months to 20 NGOs and 30 patients about: identifying issues/developing an advocacy plan; grassroots advocacy; engaging media; and cancer storytelling/public speaking. The adaptation and utilization of programme planning tools and grassroots advocacy methods have contributed to the successful launch of the Over Cancer Together campaign. Training cancer patients to share their stories publicly is an effective advocacy tactic in Japan which will increase the public and policy-makers’ knowledge, awareness and value of patient experiences. Cancer patients’ voices are a powerful tool in advocating for improvements in attitudes, knowledge, practice, policy, systems and services. Results confirm our prior conclusions that this model of patient empowerment results in identification and communication of patient needs and the necessary relationships and commitment between stakeholders to meet those needs. Managers and administrators of public institutions play a decisive role in the management of insurance and cancer. The need to strengthen the continuum of learning and unlearning with the insertion of new paradigms in the management of insurance makes the professional manager responsible for their own training in the areas of management and administration, public health and health care management, human talent management and contingency management. Additionally, the manager needs to understand the environment in which they operate and provide committed leadership. This paper covered the need for training of managers and administrators in the areas of management and administration, economic and financial health management, payment mechanisms to suppliers, cost management, results-oriented management, better performance and strengthening the institutional accountability process, thus contributing to the process of management transparency. Recent developments in Latin America set high standards for the performance of health managers and/or administrators – quality management with efficiency, safety, transparency, and with knowledge of priorities. Results of surveys establish the training needed for officers given the current context of insurance in cancer and health reform in the country. – share progress through peer-reviewed publications and meetings. the people actually implementing the programmes). – lack of trained specialists. It is imperative that interventions are prioritized based on evidence, experience and outcomes focus. Building a social movement for sustainable cancer prevention and control requires the right mix of skills and capacities employed in creative ways to engage a variety of stakeholders whose efforts in the aggregate lead to greater collaborative opportunities to address cancer. This workshop focused on three initiatives in Canada, Kenya and Brazil that seek to establish and add value to sustainable anti-cancer social movements. In Ontario, Canada, the Engaging Emerging Leaders in Cancer Control (E2C2) targets students on the campuses of five universities throughout the province to become next-generation leaders of the cancer movement. In Kenya, the immense challenges related to cancer prevention and control are not easily separated from the volatile social, economic and political dynamics that are present in many African countries. In Porto Alegre, Brazil, employees of the city’s main cancer hospital, Santa Casa de Misericordia, organize and participate each year in promoting healthy living by designing activities timed to coincide with the country’s national “fight against cancer” day. Evidence is growing on the impact of youth engagement programmes in promoting resiliency and producing positive health outcomes by moderating or avoiding the onset of risk-taking behaviours (9, 10, 11). The years after age eighteen provide the context in which young people become increasingly independent from their parents, with post-secondary institutions offering an ideal environment for influencing young adults during this transition period from home to independent living. Focusing on the areas of health communication, social marketing and public health policy, Engaging Emerging Leaders in Cancer Control (E2C2) is a student engagement initiative, currently taking place at five post-secondary institutions in Ontario, Canada. It is a young adult-driven, participatory action approach where participants take part in knowledge transfer events with content experts from the Canadian Partnership Against Cancer and other cancer control institutions, to build understanding about cancer prevention, screening and early detection, and design evidence-based interventions for reducing long-term risk and sustaining successful behavioural change. Students then engaged in priority-setting and campaign development promoting innovative action and leadership for cancer control. The major finding and innovation emerging from this work is an overall approach to campus-based health promotion known as the healthy campus movement. Connecting to and championing the healthy campus movement, E2C2 has focused activities on promoting action for campus health promotion at both individual and systems levels. Our ongoing work positions university students as both ambassadors and change agents, with the meta-goals of building broad understandings of health into university organizational culture, and fostering critical health literacy amongst students, faculty and staff. Cancer control in a continent facing rapid social, economic and political changes presents unique challenges. Priority cancer control policies are usually overlooked with every change of government. Economic and physical access to specialist health care for cancer patients is often compounded by cultural and political barriers including wars and conflicts. All this presents a major threat to sustained cancer control programmes across the continent. A desk review, practice observations and interviews with key frontline cancer control advocates on the impact on their programmes of social, economic and political conflicts in Africa. The cancer epidemic in Africa is happening in the context of wars, poverty and other social, economic and political challenges. National cancer control programmes, where they exist, can therefore not deliver effective services to address the growing problem which is expected to triple in the next 15 or so years. Governments in Africa seeking to address the cancer problem may be facing the double tragedy of solving the problems of refugees and managing slum dwellers and internally displaced persons. These factors have a major influence on cancer control programmes and must be considered in programme design. Cancer control cannot be looked at from a biomedical perspective alone. It should be seen in the context of how the population interacts with the social, economic and political environment and how their right to health and liberty is respected. Innovative, culturally acceptable cancer control programmes can be delivered even with the challenges highlighted in this paper. Cancer is a world health problem. The main risk factors are already known and many may be controlled. A healthy lifestyle and risk factor prevention can reduce the individual risk for the disease. An increasing number of studies show that more physically active individuals have a lower risk of cancer. Accordingly, education directed towards physically active lifestyles is appropriate. Every November, to coincide with the “National Day of the Fight Against Cancer”, the Cancer Prevention Centre of Santa Casa de Misericordia de Porto Alegre (the cancer hospital) conducts activities to enhance health promotion. In 2012, individuals were encouraged to join activities that align awareness, promote pleasure and stimulate physical activity, including a “Flash Mob” – an instantaneous gathering of people in which dance is used to call the community’s attention to the importance of health promotion/physical activity. For the campaign “Cancer – Live Healthily”, hospital employees were invited to advocate for lifestyle change through dance. The venue was a very busy city public park; the choreography was developed with a dance instructor; all participants rehearsed for three weeks and visual aids (t-shirts, banners and posters) were used. Fifty employees walked at random in the park and instantly gathered together to perform the dance. The campaign motivated individuals to practice physical activities, with reported feedback indicating the satisfaction that dancing promotes and the demand for future events. Projects are being developed to provide the opportunity for more the more than 6,000 employees of the institution to participate in these activities and to stimulate population awareness of healthy habits and health-promoting behaviours. Post-workshop discussions focused on the need for the local community to recognize the value of design and implementation of creative programmes in order to engage stakeholders and social movements to advance sustainable cancer prevention and control. Workshop participants identified at least three strategies to help strengthen community-based programmes. First, more educational programmes are required to address the stigma or social taboos surrounding cancer that continue to limit the ability of cancer control and prevention activities in many parts of the world . Second, more analysis and published case studies of what seems to work or not work well in building health-related social movements would allow for cancer practitioners and advocates to design, implement, adapt, and perfect programmatic interventions in their own communities. Third, civil society organizations that participate and many times lead such initiatives should find ways to work together more effectively so that the size and scale of cancer control and prevention activities at the community level become a movement to influence needed policy changes in the cancer arena. Explore and understand organizational capacity and current limitations. Examine ways to go beyond the limitations to strengthen capacity, leverage opportunities, and create effective networks that can enhance advocacy activity aimed at improving the impact and patient benefit of cancer control. Merriam-Webster’s online dictionary defines collaboration as “working with another person or group in order to achieve or do something”. Networks, coalitions and communities of practice are vehicles or ways of organizing for collaboration. They can include various numbers of partners or stakeholders and operate with various degrees of structure or operating requirements. Hallmarks of success include having a clearly defined goal, around which all can rally and exert effort, and strong leadership. Each of the stakeholders may contribute different skills and resources to achieve the shared goals. The collective effort drives the action toward achieving the desirable outcomes. To improve cancer control, collaboration is necessary at many levels (i.e., locally, regionally, nationally and internationally). The abstracts selected for this workshop provide illustration of strategies utilized by three different coalitions or networks. Each emphasized the need for growing awareness, sharing knowledge, sustained leadership, focusing on what is important to the community and using available technology. Grounds for Health (GFH), a US-based NGO, partners with coffee cooperatives and local health authorities to develop sustainable cervical cancer prevention programmes in coffee-producing countries. According to the World Health Organization, cervical cancer is the second most common cancer in women worldwide, with 85% of cases occurring in low-resource countries. GFH utilizes an innovative model that includes working with community health promoters (CHPs) affiliated with coffee cooperatives to address the barriers to access to preventive services at the community level. GFH also trains and supports local health care providers as they implement cervical cancer prevention services. Since 2007, GFH has collaborated with 14 different coffee cooperatives in Mexico, Nicaragua, Peru and Tanzania to mobilize communities for cervical cancer prevention. Mobilization efforts have included training 428 CHPs to provide community education and recruit women at risk, as well as providing transport to services by cooperatives, resulting in 31,320 women gaining access to screening and treatment. Since 2012, GFH has measured the impact of the collaboration on partner communities using the “Most Significant Change” process, a participatory qualitative methodology in which stories highlighting changes brought about by the intervention are collected from among those involved in the programme. Between April and September 2013, GFH staff conducted semi-structured interviews with cooperative members, community health promoters and health care providers in Peru and Nicaragua. Through a process of review and selection involving a team composed of GFH in-country staff, local partners, and Vermont-based staff, stories were chosen that most comprehensively capture the impact of the programme on the community. Findings that highlight the changes experienced by the communities in which GFH collaborated with local partners to implement cervical cancer prevention programme were presented. The project “Health Market” is one of the actions developed by the Technical Unit of Food, Nutrition and Cancer Prevention, that is part of the Coordination of Prevention and Surveillance of the National Cancer Institute Jose Alencar Gomes da Silva and works from the perspective of health promotion. The project is based on knowledge dissemination and behaviourial change related to healthy eating, physical activity and weight maintenance within the normal range, aimed at the prevention of cancer. Scenographic foods of different groups are represented, including fruits, vegetables, salted meats, sausages, canned food, cereals and legumes, among others. Participants are invited to simulate a purchase. Then they are led to reflect on their food choices with nutritionists. A wide adhesion and adaptation to the local context are both aspects that have facilitated its development in schools, public and private institutions and civil society organizations. The integration of national, regional and local networks through the Brazilian Health System allows the proposal to have a wide diffusion, reaching even distant cities. It also makes the activity easy to reproduce, with the adaptation to regional foods. In a country like Brazil this is essential, given its huge geographical size and vast cultural diversity. The appropriation of the knowledge shared and the discussion of the determinants of food choices enables the development of critical attitudes in daily life. Participants became more sensitive to nutritional, cultural and economic aspects of foods. Workshop participants supported the importance of working through coalitions and networks to achieve the goals of cancer control advocacy. They described the critical importance of information and education in strengthening capacity and mobilizing action for change. However, they emphasized that this is not enough. Other strategies are necessary to overcome the limitations in knowledge, resources, policies, leadership, attitudes and access to intended audiences. Working locally within and through the communities and phasing implementation is critically important. Identifying existing groups and local leaders should be an early step. These leaders can be engaged actively in identifying the issues as the community perceives them and specifying culturally appropriate approaches for any advocacy action or activity. Education and training of these local leaders is most important if they are to be champions for change or knowledge brokers and help to gain the engagement of the broader community. Listening to the community and understanding what is important to them and their view of specific issues is vitally important. Success will be realized more easily if the community perceives the advocacy work is on an issue they see as important and is being conducted in a culturally relevant manner through credible individuals (or organizations). Implementation requires a clear message and multiple channels to communicate that message. The message should be clear and simple but also compelling. It ought to be the same message for all but take different formats for different audiences. The emergence of various social media provides many opportunities to connect and communicate with various audiences. Training may be necessary in skills such as communicating, marketing and presenting. Strengthening capacity and mobilizing action may require working across traditional boundaries. Multidisciplinary, interprofessional and intersectoral groups may be required, depending on a specific issue. Effective advocacy needs to draw on the expertise of many, with a strong grassroots base and clearly identified leadership to direct the activity. Designing a master plan can be a tremendous help in guiding actions. The plan must outline priorities, what actions will be taken, and who is responsible for each. Both short-term and long-term objectives need to be articulated as actions will likely need to be phased over time. In the Latin America and Caribbean region, the last five years have seen increased efforts in advocacy with patient organizations at the forefront of raising public demand and voicing the need for improved policies in cancer control. One trend commonly observed is the regional and national emergence of advocacy coalitions. Networks are seen as an essential part of advocacy, offering a way to pool resources, expertise and connections and, importantly, offering a powerful and united cancer civil society front in influencing policy-making. Advocacy coalitions are organized around clearly established advocacy goals and, under the leadership of strong patient organizations, offer a low risk way of smaller patient organizations less versed in advocacy to get involved and contribute towards change. Another trend observed in the region is that of utilizing social media as an innovative way of mobilizing grassroots, moulding public opinion and getting an advocacy message across. From examples in Argentina of using real time social media to denounce the lack of cancer medications, to examples in Mexico of using a Twitter campaign targeting the Ministry of Health, to the Caribbean Cervical Cancer E-Petition and ULACCAM’s online declaration of rights using the Avaaz platform, the region is demonstrating growing e-advocacy skills, using technology as well as truly unlocking the power of grassroots. Increasingly innovative approaches to engaging grassroots are being used in the region, with models available for engaging the university student community as well as interesting examples being explored on promoting healthy behaviours in the general public. Just as increased advocacy capacity is seen strongly emerging from civil society, government representatives are simultaneously realizing the power of engaging patient organizations as these can mobilize public opinion and help create the groundswell demand for changes and investments, enabling the government to improve cancer control. There is overall agreement that effective cancer control requires local leadership and that the strengthening of local leadership and provider capacity is important to ensure implementation of strategies in a culturally appropriate manner. Capacity-building is thus an essential part of creating and sustaining cross-region/sector/country collaboration. Coordinated processes, plans, and policies with robust accountability mechanisms for national/regional/local implementation that include interactions and collaborations with NGOs and communities will be one important piece in ensuring the engagement of “all of society”. This session raised multiple elements for consideration, including how to better impact public policy while informing and engaging “all of society”, how the capacity of civil society organizations, key advocates and networks are critical for success, and how effective communication – both internally among stakeholder groups and externally to communities and the public at large – is the foundation for building sustainable cancer movements. Members of the cancer community are urged to look internally at how they might work more effectively in multisectoral coalitions and networks, harnessing technology to provide continuous opportunities to learn how to be more effective both as individual leaders and collaborators in the cancer movement. Advocates are encouraged to focus their external efforts on health system integration, on engagement at the community level that is relevant for the given cultural context, and on building a steadily progressive political conscience about cancer at all levels of society. The use of evidence to inform, guide and inspire cancer advocacy efforts is paramount, now more than ever, as is the ability of advocates to clearly define for health authorities the value of engaging civil society organizations. The success of population-based cancer control activities will depend highly on the level of involvement of cancer advocates in policy design and decision-making processes, as well as programme implementation and evaluation. This session concluded that a unified “all of society” cancer control agenda is bigger than any one player or sector. Effective cancer control will require working across traditional boundaries with multidisciplinary, interprofessional and intersectoral approaches. The deliberations laid emphasis on how essential it is that civil society be mobilized with a clear vision and mission for cancer control purposes; the importance of the involvement of advocates in cancer control discussions and decision-making; the crucial role of advocates as watch-dogs of the political system; the championing of evidence-based advocacy and evidence-inspired advocacy; and finally, the all important first step – the creation and promotion of a political conscience in society. 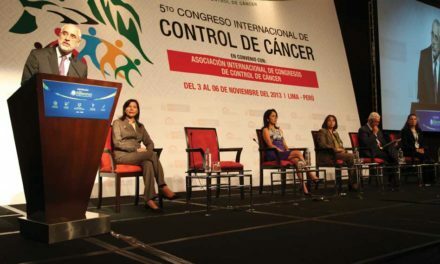 This manuscript is a synthesis of plenary presentations, workshop discussions, including selected abstract presentations, and recommendations for ongoing actions derived from Session 2 of the Fifth International Cancer Control Congress (ICCC–5) held in Lima, Peru, 3–6 November 2013. The ICCC–5 working group was made up of Simon B Sutcliffe, Kavita Sarwal and Catherine G Sutcliffe from the International Cancer Control Association, Tatiana Vidaurre Rojas and Roxana Regalado from the National Cancer Institute (INEN) in Peru. The opinions expressed herein represent those of the authors alone and do not necessarily represent the institutions and organizations by which they are employed.